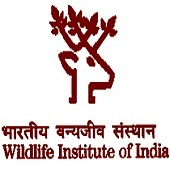 WII Recruitment 2018.Wildlife Institute of India (WII) has released a notification for the recruitment of Project Associate & Project Fellow vacancies.Check the eligiblity and notification prior to apply for the positions. Masters’ Degree in Wildlife Science/ Botany/ Zoology/ Forestry/ Life Science/ Agriculture/ Environmental Sciences/ Biological Sciences/ Veterinary Science/ Geography/ Geoinformatics/ Social Sciences/ Statistics/ Commerce/ from a recognized university.. (Rs.25,000 + admissible allowances). Domain knowledge and field experience in movement ecology of carnivores involving telemetry, and experiences in Camera trapping; Distance sampling; humancarnivore conflicts, and spatial analyses and predictive modelling involving RS and GIS tools. Age : Not exceed 28 years. Post Graduate Professional Degree in Biotechnology and Veterinary Science with 03 years of research and teaching experience OR Ph.D. Degree in Wildlife Science/ Zoology/ Life Science/ Biological Sciences/ from a recognized university..
1. A multiple-choice (General Awareness and Life Sciences) and essay written examination (biology and management of carnivores) of one-hour duration will be conducted at Wildlife Institute of India, Dehradun on 14th May 2018. The candidates should report at 09:30 hrs with original application form along with relevant documents, and self-attested copies of education qualifications, research experience, along with certificate of extracurricular activities, date of birth, consolidated mark sheets, community certificate, etc. 2. An expert panel consisting of internal and external members would interview the short-listed candidates on 15th May 2018 (for Project Fellows) and on 16 th May 2018 (for Project Associates) from 10:00 hrs onwards. 3. Based on combined merit (academic relevance and accomplishments, experience, written examination and interview), the candidates will be selected. 1. Duly filled application in the prescribed format should be sent on or before 05th May 2018 by email to nocp@wii.gov.in and levl@wii.gov.in with SUBJECT as Post Code. i.e. if applicant is applying for Project Associate (BTR101) then he/she has to mention BTR101 in Subject line of email Application NOT in the prescribed format will be rejected. 2. The Application Form (Download here) in PDF format can be filled with Adobe Reader. [Applicants can get a free copy of Adobe Reader DC from this link https://get.adobe.com/reader/?promoid=KSWLH]. After completion of filling the form, applicants should save and send the attachment with the file name of the applicant’s name i.e. if the applicant’s name is ARVIND RANJAN, the file name should be saved as ARVIND RANJAN.pdf. 3. The application should be sent from same email address that has been provided in the application form. A passport size photograph (of less than 500kb) should also be sent along with the filled application form and with filename as applicant name. Wildlife Institute of India, Dehradun, Uttarakhand.